Hula Hoop Artist Alesya Gulevich is a three times Guinness World Record holder for the most Hula Hoops simultaneously spun at one time. In her award winning hula hoop act she combines tricks with multiple rings with high speed, elegance and powerful Latin tango music. In addition to three Guinness World Records, Hula Hoop Artist Alesya Gulevich has performed on corporate events as well as circus, variety and TV shows in the whole world. Based in Miami (USA) and Frankfurt (Germany) she worked in fifteen countries on four continents with her hula hoops for companies such as the famous Big Apple Circus (USA), Tigerpalast Varieté Theatre (Germany), Teatro ZinZanni (USA), Cirque d’Hiver Bouglione (France), NBA and WNBA half time show. You might have seen her with her sparkling hula hoops on TV shows like Le plus Grand Cabaret du Monde (France), The Ellen Degeneres Show (USA) or Good morning America (US). There is no doubt, she has taken her career to the highest level of show business. 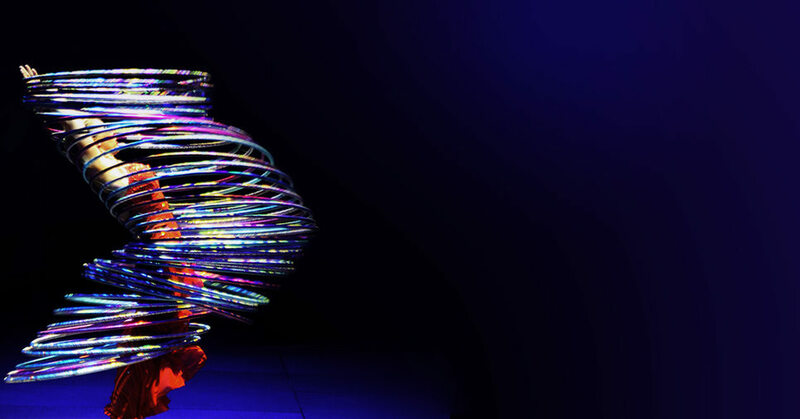 No matter if you plan an event or show in Miami, Frankfurt, Berlin, Paris or somewhere else in the world Hula Hoop Artist Alesya Gulevich is your right choice.